This former Inn offers a great opportunity to acquire a wonderfully spacious period property that boasts views towards the Grade I listed Parish Church. The property offers a wealth of living accommodation comprising a sitting room that enjoys generous dimensions and features a lovely log burning stove. The property benefits from a separate dining room. A feature of the property is the wonderful open plan kitchen/breakfast room, a superb size for family dining. There are a comprehensive range of Shaker style fitted units with solid timber doors, quartz work surfaces and a wealth of integral Neff appliances and a Range Master oven. A large central island provides additional storage options. The spacious feel to the property continues to the first floor where there are four generous bedrooms, two enjoying en-suite facilities and the master benefiting from a separate dressing area. 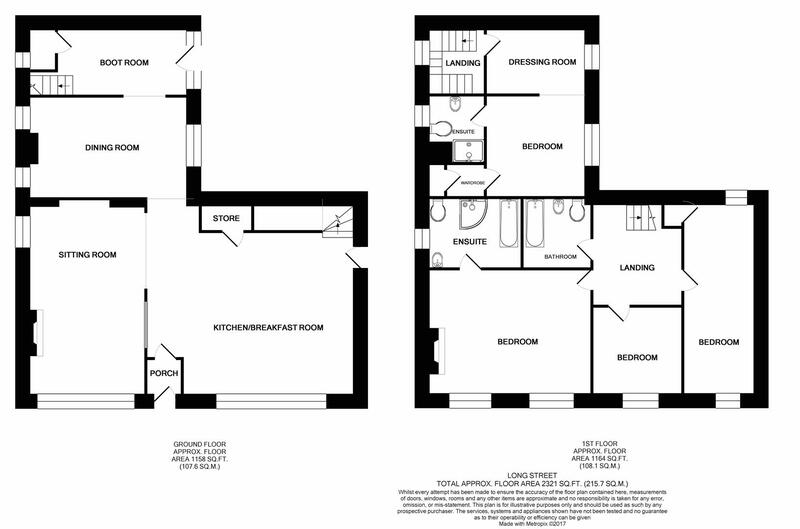 The family bathroom is tastefully fitted with a modern suite and the property benefits from a separate cloakroom situated on the ground floor together with a boot store. Externally, the property is approached via a courtyard. The property enjoys a landscaped garden with a flint wall and hedge boundaries. The garden is laid to lawn and includes a brick built garden shed. The property shares a rear communal courtyard that enjoys a southerly aspect. There is a gate that provides access to the bin stores and secure allocated parking. The property is home to three medieval hamstone architectural features including a lancet window with splayed reveals, a hamstone panel with moulded quatrefoils containing decorative reliefs and a large hamstone fireplace. Dorset Council, South Walks House, South Walks Road, Dorchester, Dorset, DT1 1UZ Tel: 01305 211970.